The Silent Film Bookshelf was started by David Pierce in October 1996 with the noble intention of providing a monthly curated selection of original documents on the silent era (predominantly American cinema), each on a particular theme. It ended in June 1999, much to the regret to all who had come to treasure its monthly offerings of knowledgeably selected and intelligently presented transcripts. The effort was clearly a Herculean one, and could not be sustained forever, but happily Pierce chose to keep the site active, and there it still stands nine years later, undeniably a web design relic but an exceptional reference resource. Its dedication to reproducing key documents helped inspire the Library section of this site, and it is a lesson to us all in supporting and respecting the Web as an information resource. Below is a guide to the monthly releases (as I guess you’d call them), with short descriptions. Informative pieces from Hugo Riesenfeld, musical director of the Rialto, Rivoli and Critierion Theaters in Manhattan, and Erno Rapee, conductor at the Capitol Theater, Manhattan. Articles with plenty of multi-nought figures from 1915, 1916 and 1923. The operations of the Eastman Theatre in Rochester, N.Y. The eight-part autobiography (still awaiting part eight) of the Kalem actress, serialised over 1928/1929 in the Women’s Home Companion. Photoplay magazine proiles of D.W. Griffith, Mack Sennett and Siegmund Lubin. Three articles on the progress of musical accompaniment to motion pictures, 1917-1929. Fascinating articles in Photoplay and Variety on production finance and the biggest money-makers of the silent era. The opera singer who became one of the least likely of silent film stars, including an extract from her autobiography. Abuses of monopoly power among the Hollywood studios. Three articles from the 1920s and two more analytical articles from the 1990s. Selection of pieces on filmmaking in distant locations, from Robert Flaherty, Tom Terriss, Frederick Burlingham, James Cruze, Bert Van Tuyle, Fred Leroy Granville, H.A. Snow and Henry MacRae. Rich selection of texts from across Griffith’s career on the experience of working with the great director, from Gene Gauntier, his life Linda Arvidson, Mae Marsh, Lillian Gish and others. S.L. Rothapfel, premiere theatre manager of the 1920s. The Wall Street Journal looks with starry eyes at the movie business in 1924. December 1997 – Sunrise: Artistic Success, Commercial Flop? Several articles documenting the marketing of a prestige picture, in this case F.W. Murnau’s Sunrise. Trade publication advice to exhibitors on what films of the 1928-1929 season were likely to go down best with audiences. The emergence of the poor man’s theatre, 1907-1911. The protests of cameramen against projectionsts. Robert E. Sherwood’s reviews of Hollywood, Driven and The Eternal Flame, all now lost films (the latter, says Pierce, exists but is ‘incomplete and unavailable’). Sheet music for general film accompaniment in 1913, plus MIDI files. Sharp-eyed reviews of preview screenings by Wilfred Beaton, editor of The Film Spectator, including accounts of the preview of Erich Von Stroheim’s The Wedding March and King Vidor’s The Crowd, each quite different to the release films we know now. Articles on the creator of the staged documentary film genre. The memoirs of cinematographer Victor Milner. Universal Show-At-Home Movie Library, Inc. offered complete features in 16mm for rental through camera stores and non-theatrical film libraries. 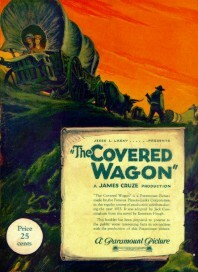 Various articles on the making of James Cruze’s classic 1923 Western. The career of independent producer David Horsley, who started the first motion picture studio in Hollywood, by his brother William. An anonymous memoir from 1915, looking in particular at the success of The Birth of a Nation. Several articles on the practive of touring the most popular silent epics as ‘Road Shows,’ booked into legitimate theatres in large cities for extended runs with special music scores performed by large orchestras. With two Harvard Business School analyses from the practice in 1928/29. A series of articles 1915/16 in Photoplay Magazine examining the risks (and occasional rewards) of investing in the movies. A 1957 memoir in twelve chapters by his wife of the leading screen cowboy of the 1920s. And there it ended. An astonishing bit of work all round, with the texts transcribed (they are not facsimiles) and meticulously edited. Use it as a reference source, and as an inspiration for your own investigations.